Whether you call them tractor trailers, 18-wheelers, or big rigs, it seems everyone has seen a truck venture to the shoulder or suddenly swerve into the other lane in front of you on the highway–not usually causing an accident, but often close. 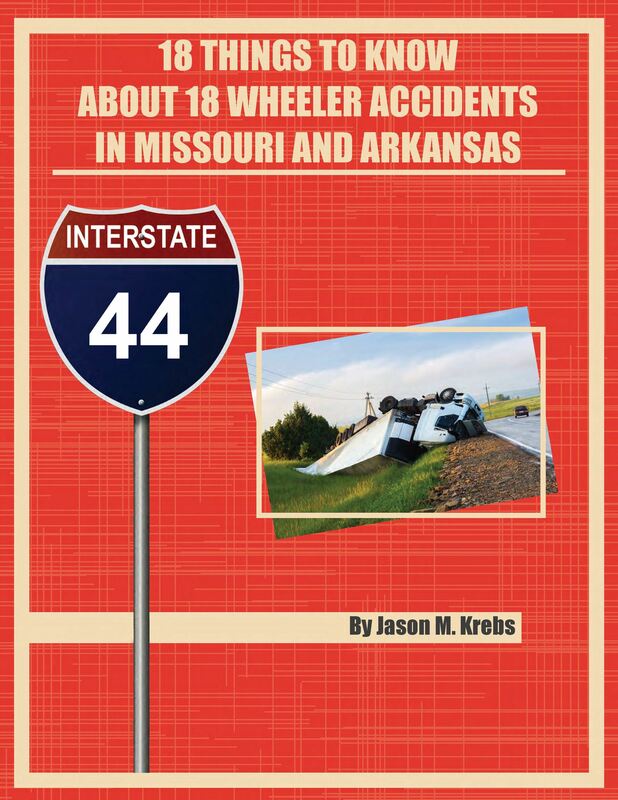 With Springfield’s proximity to Highway 44; many residents making frequent trips to Kansas City, St. Louis and Branson; highways 60 and 65; and several trucking companies based in the area, it can be dangerous on our highways. Many trucks are overloaded, have fatigued drivers and are driven too fast to handle their limited visibility, increased braking distance and decreased maneuverability and cause an accident. There are a lot of these big trucks on the road and due to the sheer size, the accidents semi-trucks cause can be the most catastrophic of all accidents. If you have been injured in a semi-truck accident, you should be sure to consult an attorney regarding how to best position your claim and recover your medical and other expenses. Semi-truck accidents have a unique place in the law because the operation of tractor trailers is subject to numerous regulations at the state and federal level. There are requirements related to the training tractor trailer drivers receive and the amount of hours they can drive a day, among others. Truck drivers are working when they are on the road and the trucking companies they work for carry large amounts of insurance for the truck, the freight and the driver. An experienced personal injury lawyer is really needed to handle the complexity of a semi truck accident case due to the need to obtain log books, time sheets, drug test results, driving history reports, etc. Big trucking companies don’t want to admit fault and pay up, but if their driver causes an accident with a company truck that results in injuries, we’ll make them. The guidelines of what to do if you are injured in an accident with a semi are similar to what you would do if involved in a car accident, but the accident and injuries could be more serious and the ultimate case more complex. If you are involved in a car accident, call the police immediately, even if no one was injured, and file an accident report. Truck accident reports are for insurance purposes to determine fault, so verify that the report is thorough. Additionally a semi-truck accident report is important since the driver of the truck was essentially on the job when the accident took place and their employer should be informed of the driver’s mistake. The truck accident report should include interviews with all involved parties and any witnesses. Photographs and/or diagrams of accident scenes are often supplied by the police as well. You should take your own pictures of the tractor trailer accident if possible and get the names and phone numbers of anyone witnessing the accident either as a driver or pedestrian, as well as anyone involved in the accident itself. Most importantly, regardless of fault, semi-truck accident victims should not treat their injuries casually. 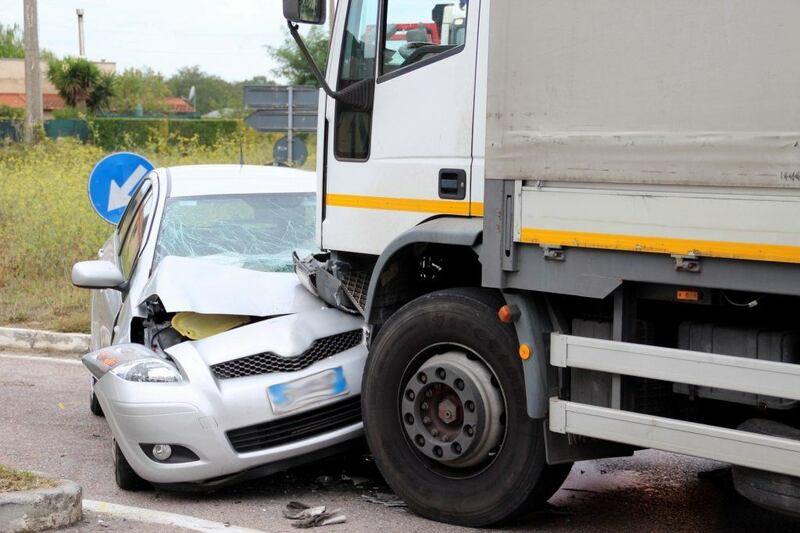 Often injuries may not be apparent immediately, but the thrashing and jerking from an accident involving something as large as a semi can lead to stiffening and joint pain later. Common injuries from a crash involving a tractor trailer include whiplash, head and brain injury, paralysis, and joint, bone, and muscle injuries. Truck accident victims should seek medical attention as soon as possible if they believe they are injured. Claims for damages resulting from injuries in a truck accident usually depend on medical records linking the accident to the injuries received. The more time elapses between the accident and the treatment, the more difficult it is to prove a connection. Please call us today for a free initial consultation about your accident with a semi-truck with no obligation to hire us as your attorney and no fee collected unless we win compensation for you. That’s why I created a service I’m calling My 5 Point “Accept No Limits” Consultation – it has a real retail value of $299, but because I want to help as many people as I can get the answers they need during times of extreme hardship and difficulty, I’m making a limited number of these available at absolutely no charge. All you need to do is call my office at (417) 883-5886 or Toll Free 1800 345-0535 reserve your spot. A Real, Live Face-to-Face Meeting. We’ll meet face-to-face to discuss the specific details of your accident and what happened. You won’t be filling out a web-based data entry form, sending an email, sitting on hold waiting for a real human to answer – you and I will sit down in a room and talk things through. We’ll get to know each other the old-fashioned way – where we can share and learn from each other. A Comprehensive Situational Assessment. I’ll let you tell your story in your own words – you talk, I listen. As appropriate, I’ll ask questions to help you recall ALL the details – to make sure we both end up with an identical picture of exactly what happened that put you in this situation. A Preliminary Documentation Review. I’ll conduct a preliminary review of any supporting documentation you have that’s relevant to the accident and situation – this includes photographs, accident reports, police investigation notes, citations, and any witness statements. In addition, I’ll review information about your accident and injury, which could include repair bills, doctor’s notes, emergency room notes, photographs, X-Ray results and MRI results. In addition, I’ll check to see how your automobile insurance and health insurance factors into your current and potential future situation. An Honest and Open Q&A Session. I’ll answer any questions that you may have – such as how medical treatments will get paid for, how long the overall process will take, potential awards from the Insurance company, costs of litigation, and more. I’ll be open, honest, and do everything I can to answer your questions to the best of my ability. Your Customized “Next Steps to Fairness” Proposal. Finally, after going over your situation, I’ll lay out in clear, easy-to-understand language, what I see as the strengths and weaknesses of your case. In addition, you’ll walk away with specific suggestions on what I see as your best course of action moving forward. GUARANTEE: While I can’t guarantee ultimate results, I will guarantee our conversation will provide clear, actionable information that you can use to move forward with confidence knowing you’ve received timely and prudent advice.